Jamal Nganga was loving and lively, according to his mother, Ebla Ibrahim. 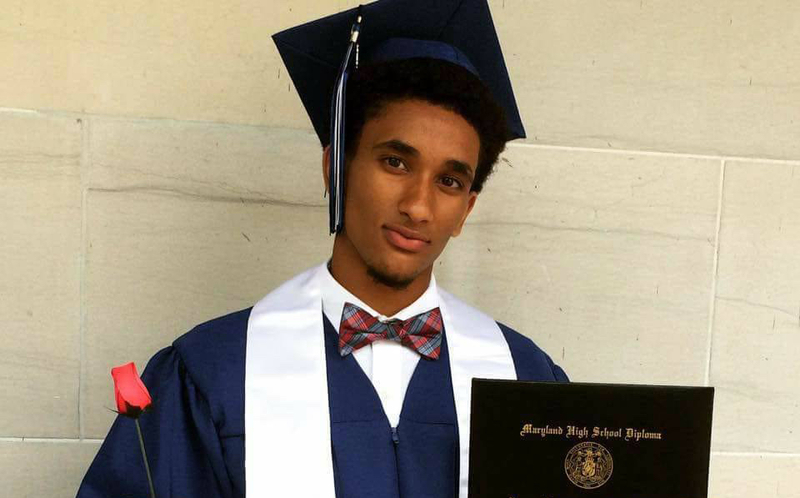 He was raised to be open-minded, growing up with a Somali mother and Kenyan father, though living in Silver Spring, Maryland. He loved his friends and family, and was the go-to person to talk to about your problems because he would listen, she said. Tampa Police Department (TPD) and Tampa Fire Rescue responded to a call on Nov. 30 at the Barrymore Hotel where they found Nganga unresponsive. He was transported to the hospital where he was pronounced dead. TPD reports no foul play and the case remains open as they are awaiting a report from the Medical Examiner’s Office regarding cause of death. UT administration did not comment on the matter. Ibrahim reflects on fond moments with her son, but says that ultimately, his whole life was a special moment. Nganga had a younger brother, Nabil Nganga, who he lived in Africa with for a year, according to Ibrahim. They were well-traveled as a family, said Ibrahim. They would travel to Nganga’s basketball tournaments every weekend. Nganga had a passion for basketball, which he played competitively from elementary to high school, as part of Amateur Athletic Union (AAU) according to Ibrahim. Nganga was a member of the fraternity Sigma Chi since his pledge-ship in the fall of 2015, where he was incredibly close to his friends and brothers, and according to Radwanski; he loved his fraternity and UT. “I’ll never forget that day, I’ve never felt pain like that before in my life, “ said Nganga’s friend, Lindsay Nathanson, junior history major. Nathanson said she and Nganga were part of a tight-knit friend group, and he was one of those people who did not have one bad thing to say about anyone. He radiated positivity and was an extremely loyal and caring friend. Radwanski said that a day doesn’t pass where he doesn’t remember Nganga. He said Nganga’s character has influenced more people in the short 20 years he was alive, than some people get to influence throughout an entire lifetime.